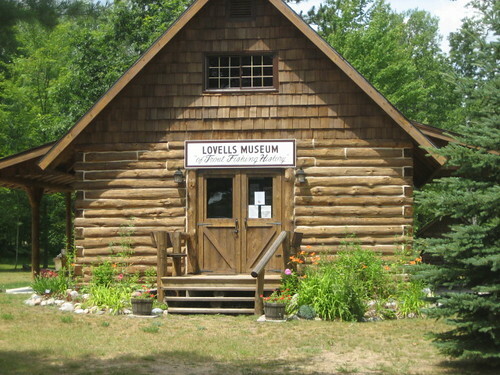 Yesterday was Opening Day, and the occasion for one of the three annual events in Lovells. Our Historical Society is the organizer. 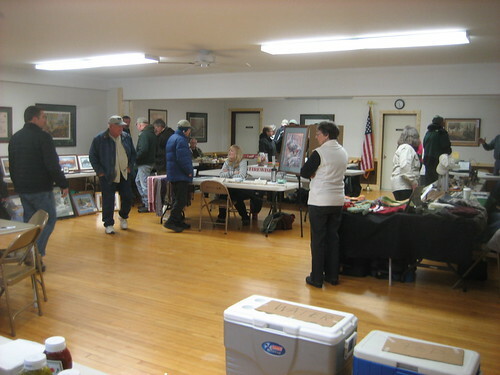 Here is a craft show in the Township Hall. 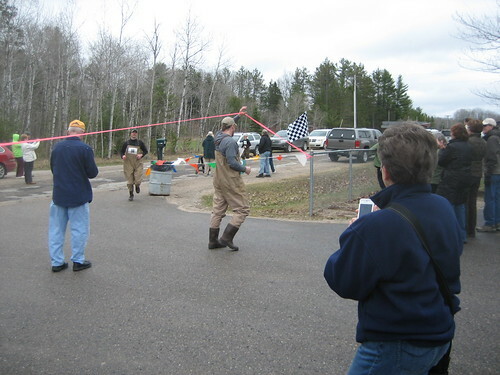 This is the finish of the “Leaky Wader Race”. 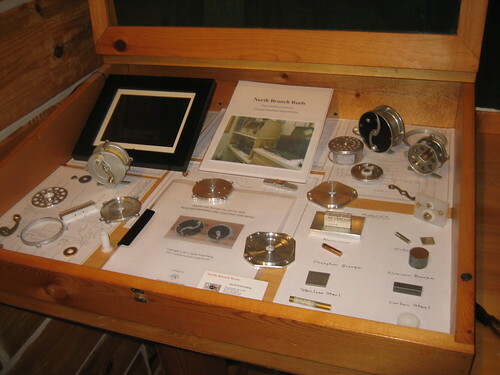 Also on the Township grounds is the Museum of Trout Fishing History. This is a picture from some summer past; yesterday was cloudy and spitting snow. 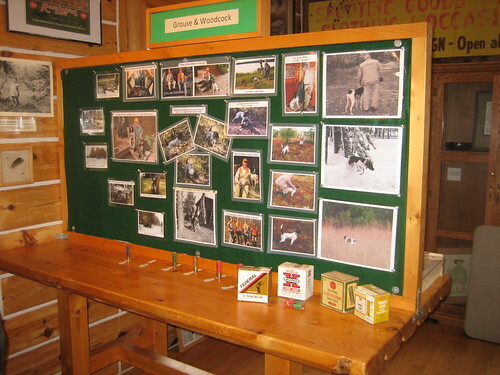 Several new displays in the museum consider local hunting. 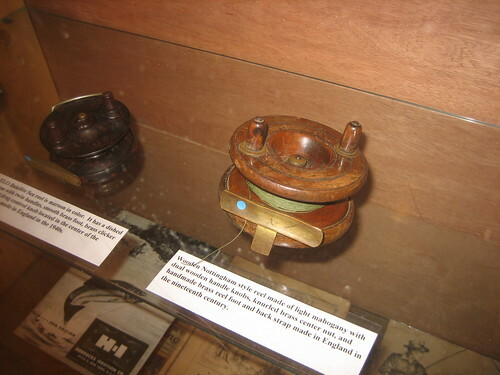 There is also a collection of antique fishing reels. And one display that I prepared.